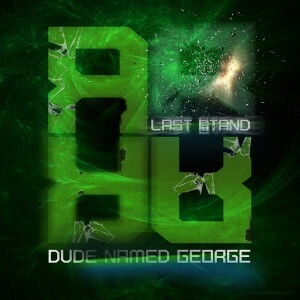 Repressure Recordings proudly presents “Dude Named George”, a new name in the techno scene with the energetic and powerful tune called “Last stand”. Born in the dark and twisted corners in the mind of a guy known as Georgio, George evolved in to a individual person on it’s own. After being raised in a parallel universe called ”ONHCET’, George found a way to break this barrier and enter the world you know as earth. As he is trained in the phenomenal arts of ”CIGOL”, a magical system that produces filthy raw kicks, insane deep basslines and a hell of a drive , George is on a mission to take over this universe with his raw and bangin’ sound!. As a creation of the God king ”OIGROEG”, failure is not an option. Remixes are done by Sean Mccaff, Not Human and whizkids Gate 44 also known as the The Konings Brothers.